A cool SUPERCHUNK‘s interview is available to read and download as an ebook at this location. Fourteen years have passed since this interview took place in 1998. In 2001 Superchunk released its eighth album, Here’s to Shutting Up and did a national tour with The Get Up Kids. 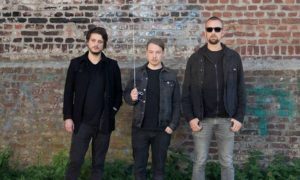 The album received a mediocre response—due in part to the proximity of its release with September 11 and the disinterest of younger fans on the tour with The Get Up Kids. As a result, Superchunk decided to take a break from the write/record/tour schedule. They continued to play the occasional show and planned on putting out another record. The band was on hiatus from 2001-2010 while pursuing other projects and starting families. Mac and Laura cofounded Merge Records in ’89 and watched it flourish during their break from Superchunk. Merge has released an impressive 257 records since 2000. Two years ago Merge released the Arcade Fire album, The Suburbs, which won a Grammy for Album of the Year in 2011. In ’94 Mac started a project called Portastatic, which released three albums during Superchunk’s hiatus. Mac also formed a band with Guided By Voices frontman, Robert Pollard called Go Back Snowball. They released the album, Calling Zero, in 2002. Mac has been scoring movies too, particularly with filmmaker Matt Bissonnette. He did the soundtrack to Bissonnette’s 2009 film, Passenger Side, starring Adam Scott of Parks and Recreation and Party Down. Jim plays in a band called Humidifier. They put out an album in 2008, Nothing Changes. He says he’s enjoying a slower pace these days and spends most of his time working at bookstore. Currently, Laura and Mac are equal partners at Merge, extremely involved in the day-to-day operations, including having final say on what artists are added to the Merge roster. Jon has been touring steadily with a variety of acts. He’s been recording and drumming with The Mountain Goats, Bob Mould, Ben Gibbard, and Carl Newman. He’s a regular act on a radio show with Tom Scharpling called, The Best Show on WFMU and has written for an assortment of TV shows. 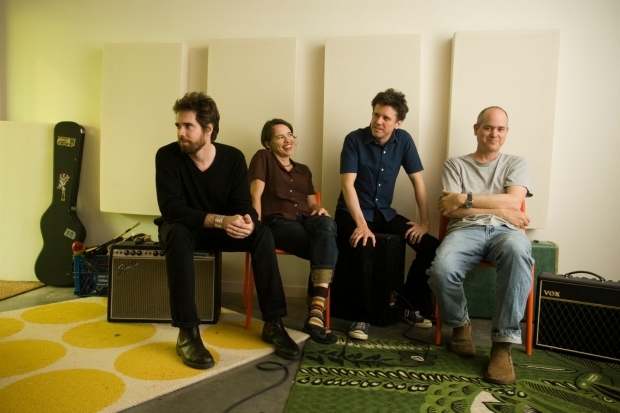 In 2010, Superchunk released, Majesty Shredding, to an overall positive response. 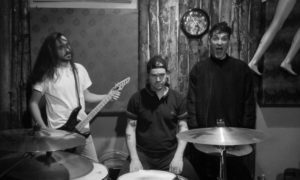 This year they put out a single titled, This Summer and are scheduled to play a CBGB festival on July 6th with Red Kross and Labor Pool. They have one more show in July and are scheduled to play in Florida at the De Luna Festival in September. Mac is performing solo at the North Carolina Hopscotch Music Festival in September.